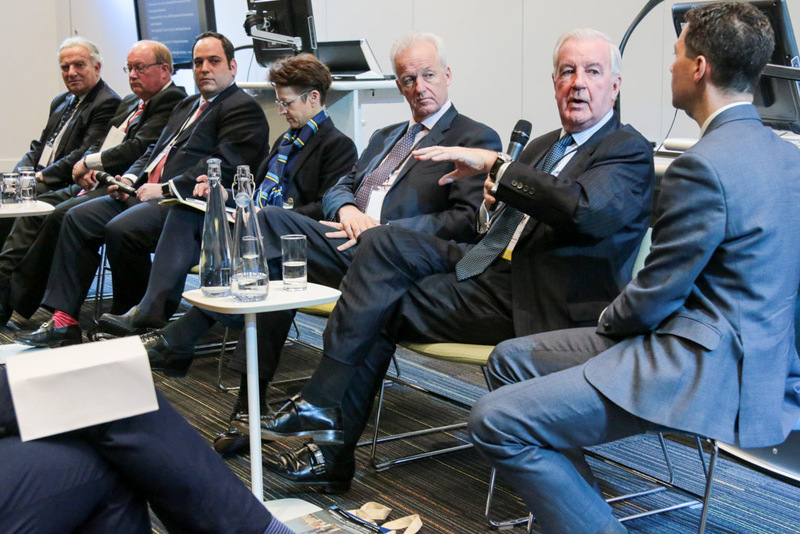 Leading Figures from the world of sport governance and major event ownership convened in Glasgow on Monday and Tuesday for the Host City 2016 Exhibition and Conference to discuss how to attract and host secure and engaging sports, business and cultural events. It was also announced that an additional “Host City Asia” event will take place in Beijing in May 2017. “In its third year, Host City conference and exhibition is firmly established as the leading international meeting of cities and sports, business and cultural events. We are delighted to see Host City continuing to grow in Glasgow, Scotland,” said Matthew Astill, CEO of Cavendish Group. Host City is the largest and fastest growing international meeting of its kind. At the third edition, the topics of future major events and integrity of sport were high on the agenda. In his opening keynote address heading up a list of world-class speakers, Sir Craig Reedie CBE, IOC member and president of the World Anti-Doping Agency talked about how in an ever-more competitive field, hosting events is a “very active place” in contrast to the major multi sports events like the Olympic Games and the Commonwealth Games who, he said, have struggled to attract bid cities in recent years. Simon Clegg CBE, Chief Operating Officer, World Expo Dubai 2020 highlighted the large ticket sale expectations and expansive physical set-up of World Expo Dubai 2020. Francesco Ricci Bitti, President, ASOIF (Association of Summer Olympic International Federations) said: “The tangible and intangible impacts of sporting events on the community are very important. He also commented that the level of flexibility afforded by the new bidding rules set out in IOC’s Agenda 2020 programme of reform needs to be carefully considered, saying “Changing venues from the bid book is taking it too far." Sarah Lewis, Secretary General of the international Ski Federation (FIS) and the Association of Olympic International Winter Federations (AOIWF) said: “It is necessary to maximize the usage of existing facilities that would change the focus on having compact events. Compact events are convenient but don’t offer the best legacy opportunities”. She said “multi-city and multi-country events may be the future”. Paul Bush OBE, Director of Events, VisitScotland said: “The benefits of hosting major events are both hard and soft. The soft benefits, which you have to articulate very carefully, are becoming very important. “The importance of transparency in the bidding process is crucial right now and is growing every year”. When asked whether cities would turn their back on hosting events that can’t prove their integrity, she said “I can certainly say this of Glasgow. We would not want to be connected to any sport that had major controversy associated with it”. He also said "the perception of sport as a utopia needs to be changed. We need to be more realistic when looking at it". The delegates, which included several IOC members, were also addressed by senior figures involved in bidding for the 2024 Olympic Games from Budapest, Los Angeles and Paris. The Host City brand began life in China in 2003 as a bilingual magazine for the Beijing Organising Committee of the Olympic Games. The Deputy Mayor of Beijing in 2009 presented the CEO of Cavendish Group with the “Great Wall Friendship” award in recognition of Host City’s role in bringing foreign technology content to China and creating an Olympic infrastructure partnership. Cavendish Group is also known as the owner of the ICC (www.internationalcapitalconference.com ), China’s largest outbound investment event that is now in its seventh edition. All the Host City 2016 Conference keynote addresses and plenary session content be streamed at www.hostcity.com/hc2016/audio – provided by sound-sharing platform audioBoom. For further information about Host City 2016 please visit www.hostcity.com or contact Ben Avison, Editorial and Conference Director, Host City ben.avison@hostcity.com / +44 (0)7876 682072. Follow us on Twitter where we use the #HostCity2016 hashtag and on Linkedin.